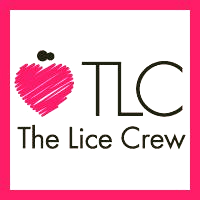 The Lice Crew team of professional technicians work with your schedule and provide same day and after-hour treatment services in their state of the art clinics, as well as offering in-home appointments. To enhance your experience, clinics are equipped with private treatment rooms, professional salon chairs, WIFI, child friendly snacks, movies, toys & games. To book an appointment, or to have any of your questions about head lice answered by an expert, please call us at #1-844-880-9030 (LICE) or click here to find a location near you. Are you the owner of The Lice Crew?